Album: "Liber III: Codex Templarum"
Δελτίο τύπου: «Seasoned Maltese heavy metal maestro Albert Bell sounds the clarion of battle once more with his third declaration of war in the Sacro Sanctus Templar trilogy! "Liber III: Codex Templarum" focuses on the Order of 13's fate following their coerced dissolution including their alleged involvement in insurrections against despotic rule in Scotland and the Alpine lands in the 14th century, and the Knights' links with various secret societies. 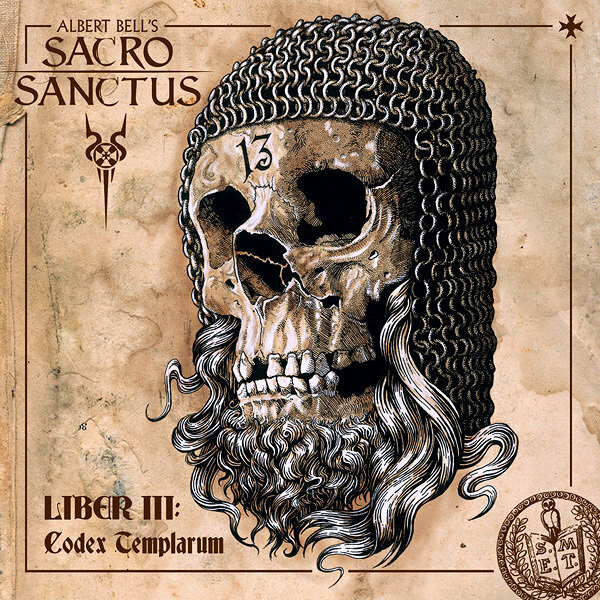 Templar myth and historical facts are combined to masterful effect again as Albert unleashes riff upon riff of feral old school blackened heavy metal forged from a cauldron of pedigree influences from Celtic Frost to Saint Vitus, to Motorhead, Bathory and Venom.